As such every bird is adorable, but parrots are especially cute because they show various gestures that other birds normally don’t. For example, parrots can hang themselves upside down on a branch or swing, hold a fruit in one of their claws and eat it while standing on the other leg, and of course, if they are taught, they talk too! 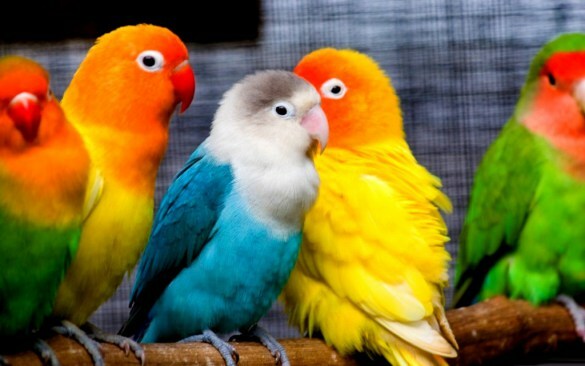 Ideally, birds should not be kept in cages, but people are tempted to keep a parrot in their homes. They should at least take care of their pet parrots to make the bird’s life easy and comfortable. Here are tips. Buy the largest cage you can for your parrot. The length of the cage should be at least such that the bird can stretch wings on both sides. He should also be able to climb and play in the cage. You definitely want your parrot to be happy and he’s only so when he is active and can swing, tumble and hang upside down. 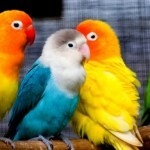 On Cuteparrots.com, you can get a variety of parrot cages and a lot of other useful information about parrots. Parrots want some sort of privacy which you can arrange for them. For example, you can hang a cloth or a cardboard box near the top or bottom of the cage. An even better alternative is edible branches with leaves hung from the top. Parrots are great foodies. So, don’t miss to give him a variety of delectable foods. Give high quality pellet type foods, and also vegetables, fruits and nuts. Parrots also love chili peppers. Parrots love to play. They also need time outside their cage so that they can remain active and healthy enough. Flying is a natural activity for any bird and your parrot should also be given an opportunity for that in a safe and supervised room. You can arrange ropes in the room where your parrot can perform the adorable acrobatics like open-winged twirls, which he cannot perform in his cage. The room where you will allow your parrot to fly should be assessed for potential dangers, like household appliances, furniture, plants and places like sinks or basins with water/toilets etc as they can pose dangers to your parrot. See examples of wonderful flight cages on Cute Parrots. Thus, if you take care of the safety and happiness of your parrot, he will prove to be your truly adorable friend.